I was tired the next morning because I did not sleep well at night. I woke up before the others. Our room had two windows that directly overlooked the fields. The sweeping landscape in front of me looked like it was waiting to be photographed. The morning light was magical – soft and layered. We hadn’t seen this kind of light all through the trip.A few members from our group had to leave early because they chose to visit Tabo. This was not in our itinerary. I opted out once I learnt that photography isn’t allowed inside the Tabo monastery. I dragged myself out of bed and stepped out into the open. The whole act took ten minutes more than it should. I felt like an old man. The lure of the sight in front of me couldn’t stop me though. Tanzi Home Stay was thankfully at the same elevation as the fields. I did not have to climb up. The light was changing every moment as the sun slowly began to rise. This was sheer poetry! I spent about an hour in rapture, shooting the breaking of the day. Later during breakfast I learnt that most others hadn’t slept well either. For a fairytale like location that we were at, this was a bummer. Everything was difficult – including thinking of what to do next. With these constraints we managed to pack our bags after breakfast. 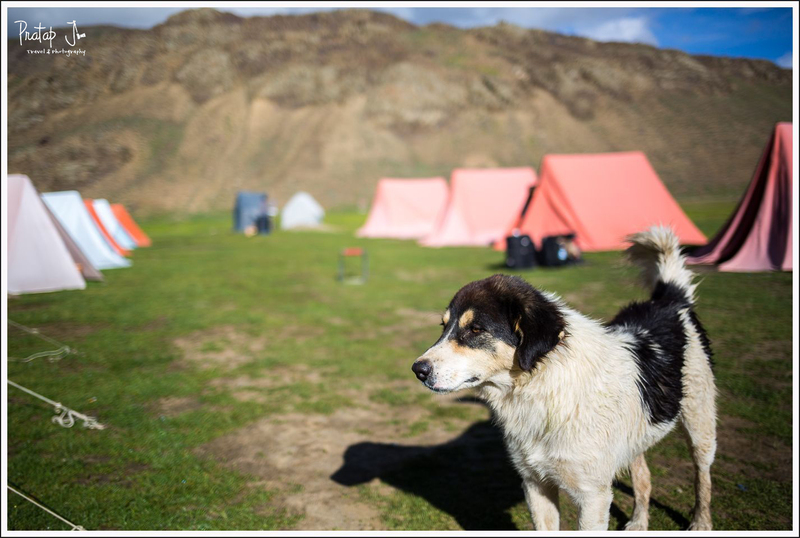 The Tabo team had already left, so the rest of us occupied two Xlylos and bid goodbye to Langza. We thanked our hosts who had conducted the whole home-stay business in a smooth and professional manner. There is a certain genuineness of character in these mountain people that you cannot miss. I felt much better after descending to Kaza. 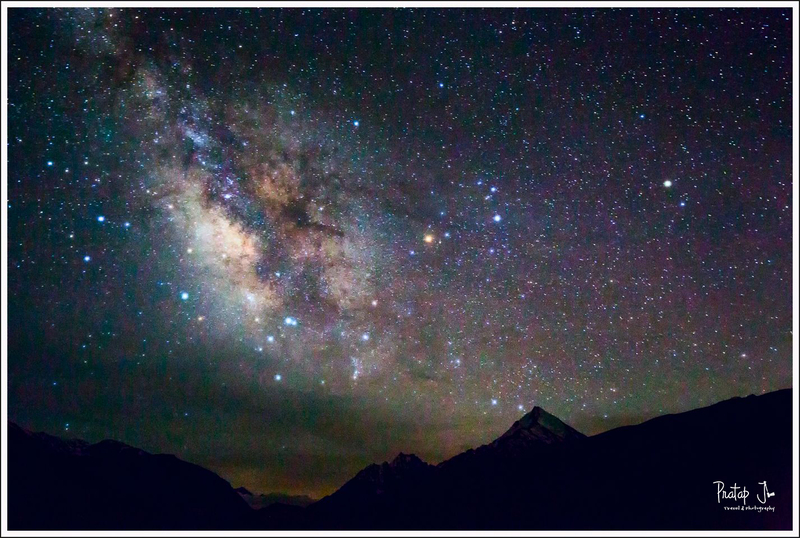 Looking back, I am happy with the photos I shot in Langza, given the difficult conditions. The plan for day three was to visit Dhankar after a quick pit stop at our hotel. This didn’t give us time to bathe and by now I was sure that this wasn’t a daily routine in these parts. Dhankar was remote even by Kaza standards. 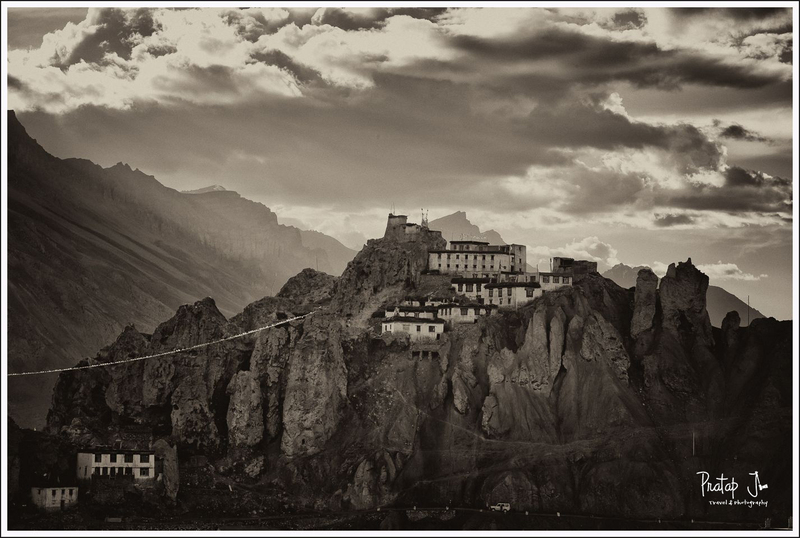 The crumbling Dhankar Gompa looked like a relic of the past. There were very few locals, and even fewer tourists. A group of Israelis were on a long stay at Dhankar Café. 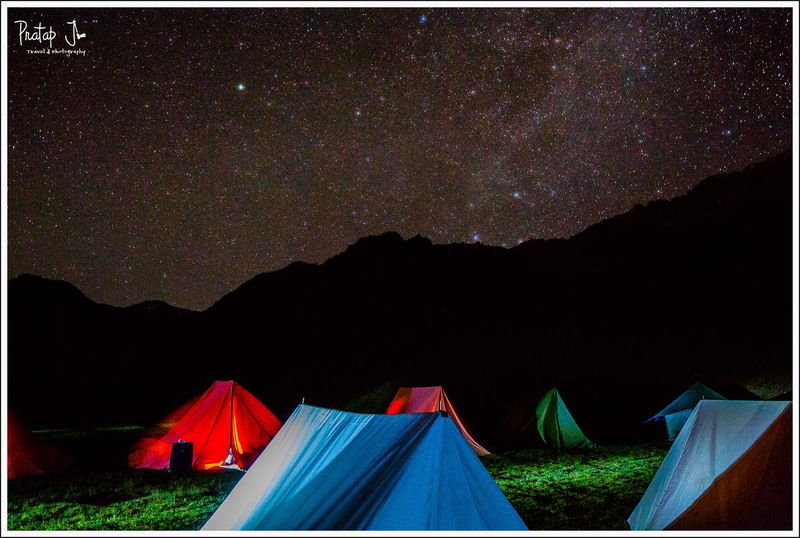 Anyone who wishes to cut off from civilization should come and spend time in Dhankar. 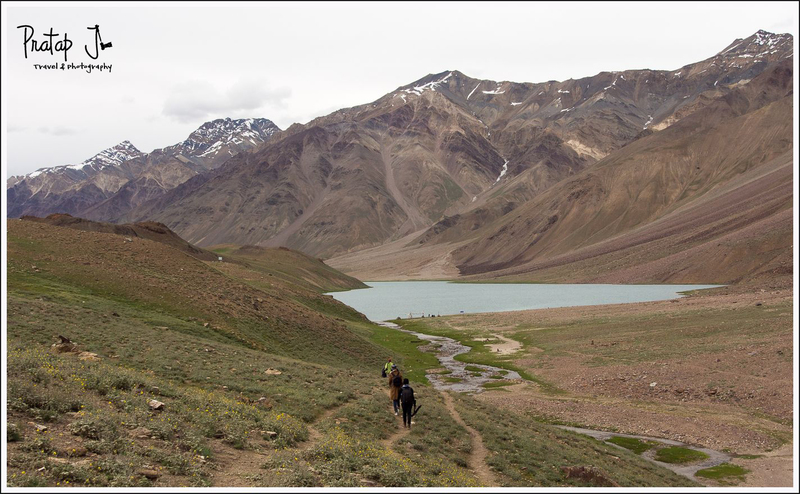 After lunch at the Café, we began hiking up to Dhankar lake. It was hot and the midday sun discouraged a few members from doing the hike. Our guide was swift and scrambled up the mountain easily. I followed him, hoping with every step that the hike would be rewarding. It took me an hour to reach the lake, and I was quite disappointed at first sight. The water levels were low, and the harsh light did not make the place look interesting. 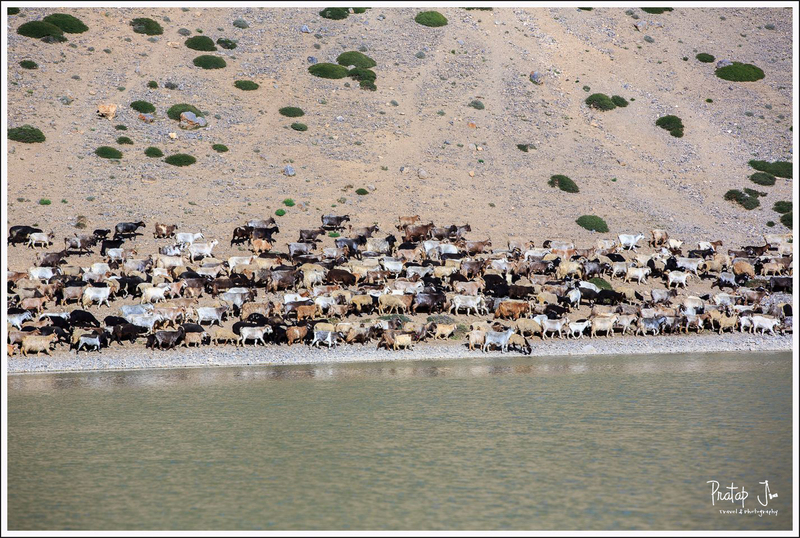 Soon the others reached the lake only to collapse under the shade of the chorten. None of us had any enthusiasm to shoot. Suddenly we heard the sound of sheep hooves. Kicking up a dust storm, a hundred sheep came rushing down the mountain towards the lake. I immediately scrambled to take photographs. The tranquil atmosphere suddenly changed. We all started to shoot. A few horses came running towards the water as well. Slowly the light began to change, with rain clouds brooding over the mountain range. 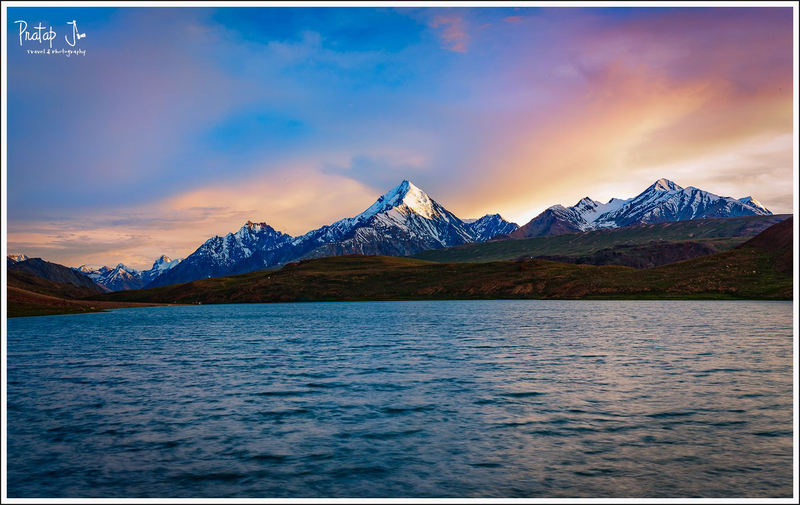 In the mellow evening light, I was able to make memorable photographs at Dhankar lake. The hike proved fruitful. It took us about half an hour to hike down to the parking lot. 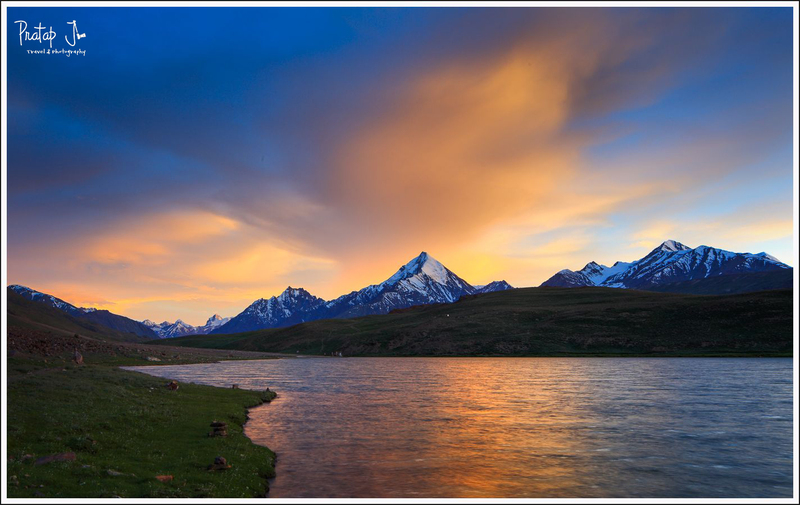 A magical sunset prompted us to spend some more time at Dhankar. After shooting to our satisfaction, we left for Kaza. It was finally time to have a shower. The much-needed refreshment gave me energy to shoot star trails from our hotel balcony. I joined a few others and we pointed the cameras to the sky till midnight. Thus, this became the longest working day of the trip. 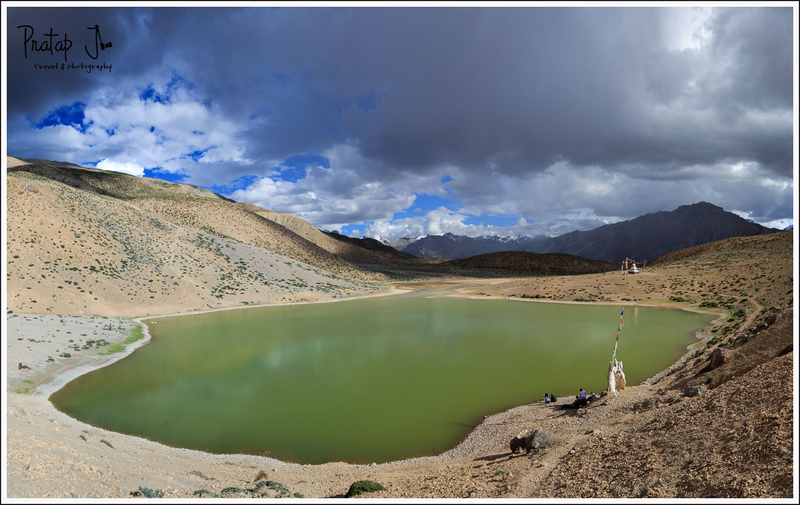 Our penultimate day on the Spiti trip was reserved for Chandratal Lake. 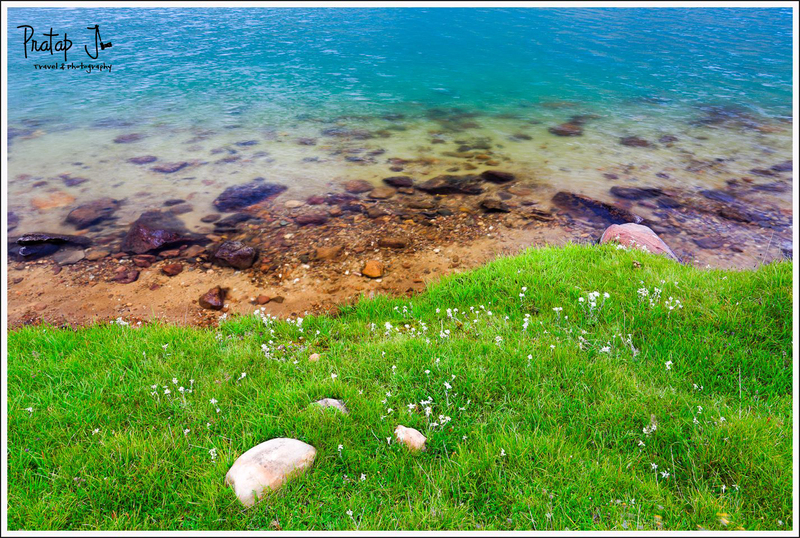 Translating into ‘Moon Lake’, this is a high altitude water body near Kumzum la. 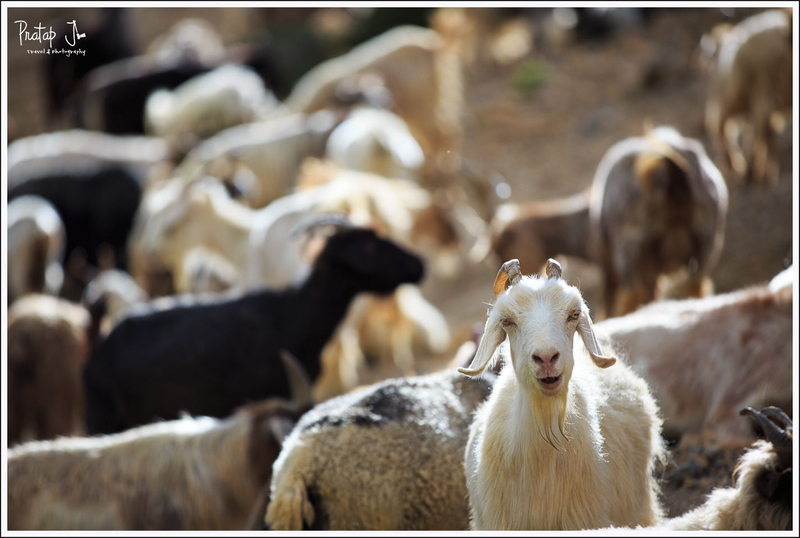 We checked out from the hotel at Kaza and retraced our path back to Batal for lunch. I witnessed scenes that I missed in the dark during the onward journey. 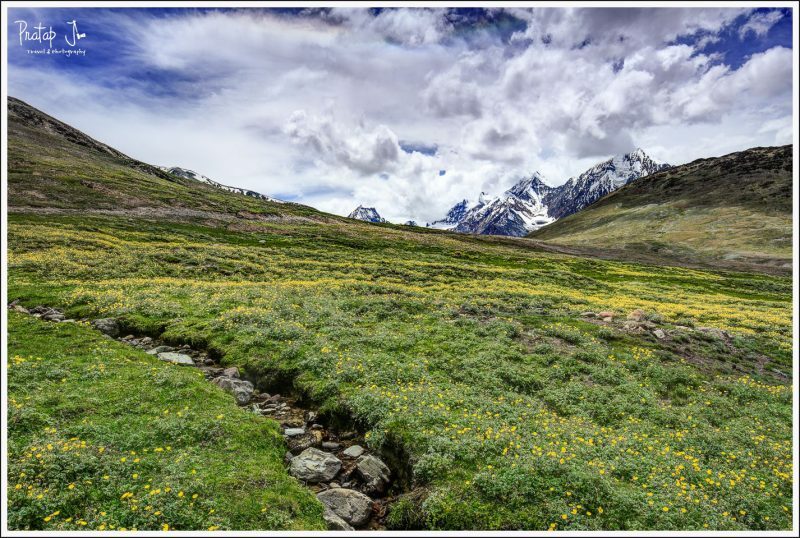 We briefly halted to see yaks and horses grazing in a valley, and to shoot a bed of wild flowers with an unknown snow-clad peak in the background. 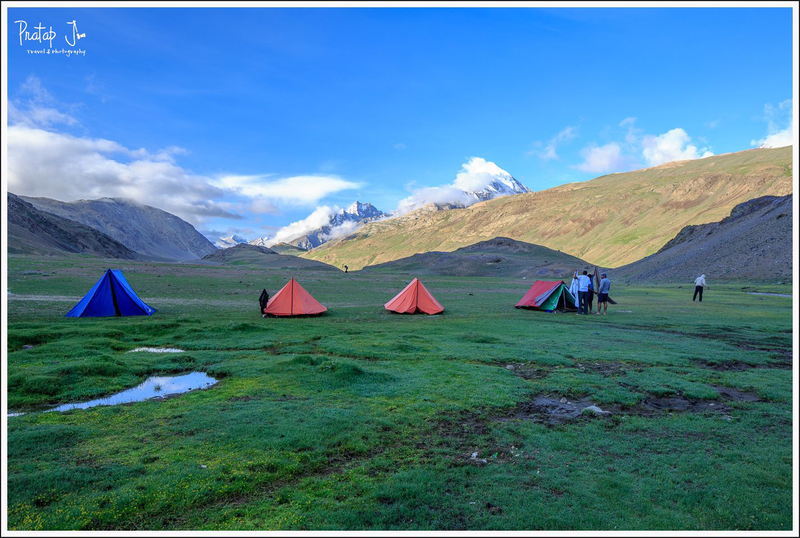 It was evening when we reached Chandratal at 14,100 ft. We had tented accommodation 4 kms away from the lake. 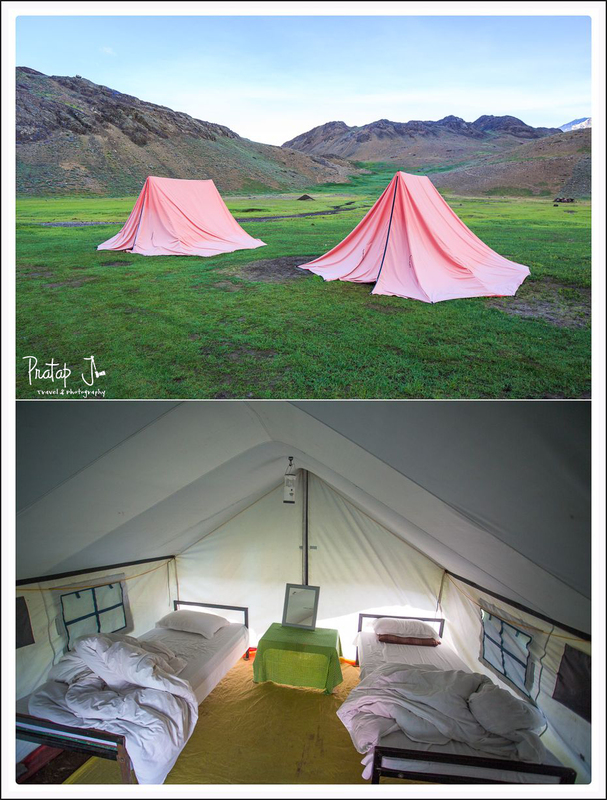 Tents operate between June to September. We did not have time to check-in, so we unloaded our luggage and drove till the lake. This distance is otherwise ideally done on foot. Chandratal was much, much bigger than I had imagined. It was also beautiful beyond words. Flanked by hillocks on either side, this crescent shaped lake apparently has an underground water source. 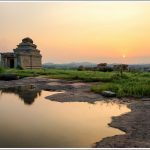 Two of us planned to do the sacred walk around the glacial pool – known as parikrama in Hindi. This walk is done in anti-clockwise direction around a revered object. The four kilometer walk took us close to two and half hours. Roughing it out provided us rare photographic opportunities. We did the first half of the walk rather leisurely, but had to rush through the second half. 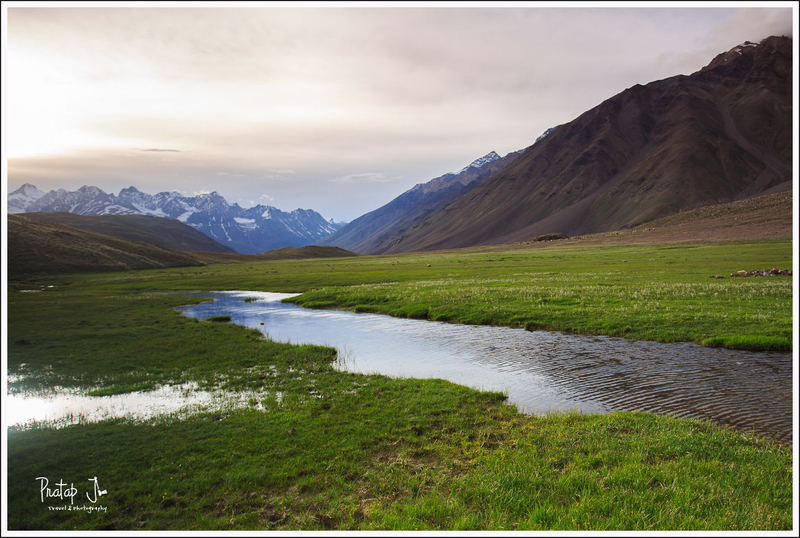 The memory of our chance encounter with a lone shepherd who was in search of his sheep, the sight of uninhabited glacial mountains beyond Chandratal, and the gentle sound of lapping of water at the lake-shore all seem like a blur now. Thankfully, some of these scenes resided in the memory card. As the sun began to go down, we had a kilometer to go. The color in the sky changed into ineffable orange, providing an unforgettable backdrop to the snow-clad peaks. With such a view, we were torn between continuing our sprint to reach our vehicle before dark, and stopping to capture the once-in-a-lifetime sight. I am glad that we took some time to take photographs. After sundown, the winds got stronger and the air got colder. Back in the tent, I brought out all the warm clothing that I was carrying. It had been a long and tiring day. 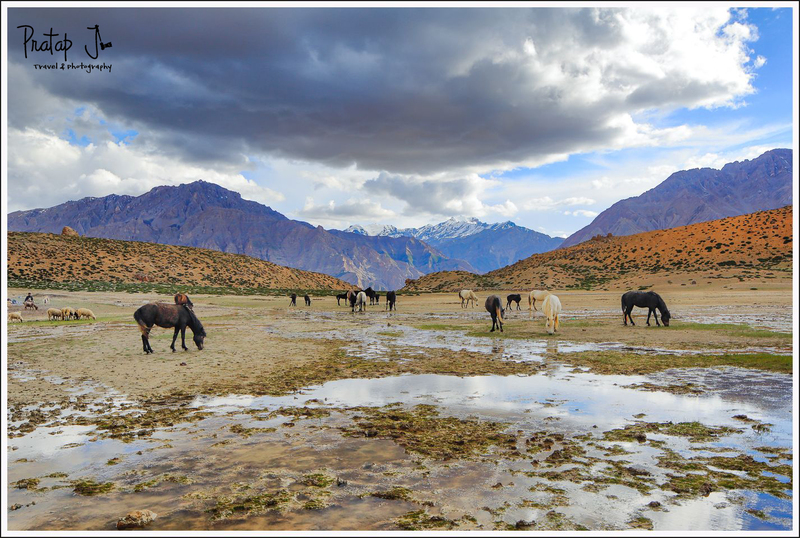 The parikrama around Chandratal had left me drained. But I wasn’t done shooting. Dinner was inside the big mess tent. Bishen’s cooks dished out some real tasty food. The tent was thankfully warm too. After dinner, we were out with our tripods to shoot stars. We were particularly unlucky to have cloud formation that night near our campsite. 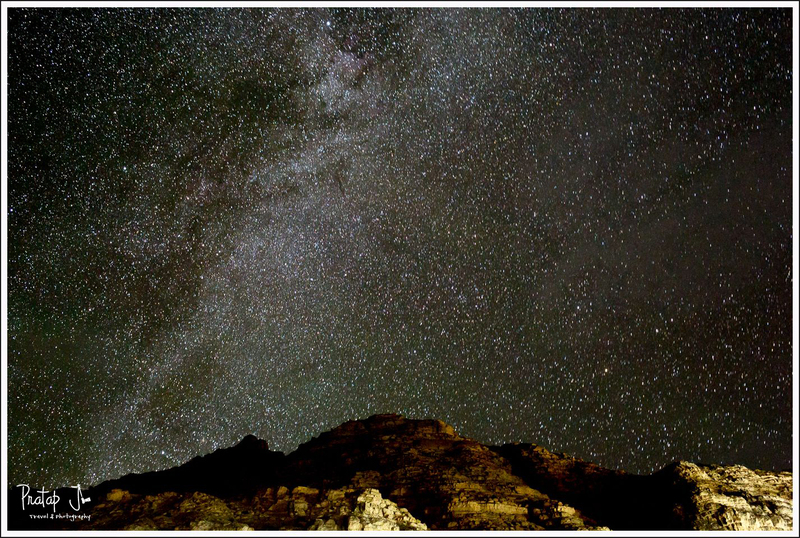 Shooting the night sky is difficult. There is a lot of guesswork. Results can be seen only after long exposures. The altitude and the weather added to our woes. In spite of the freezing temperatures, most of us managed to stay outdoors and shoot star trails. 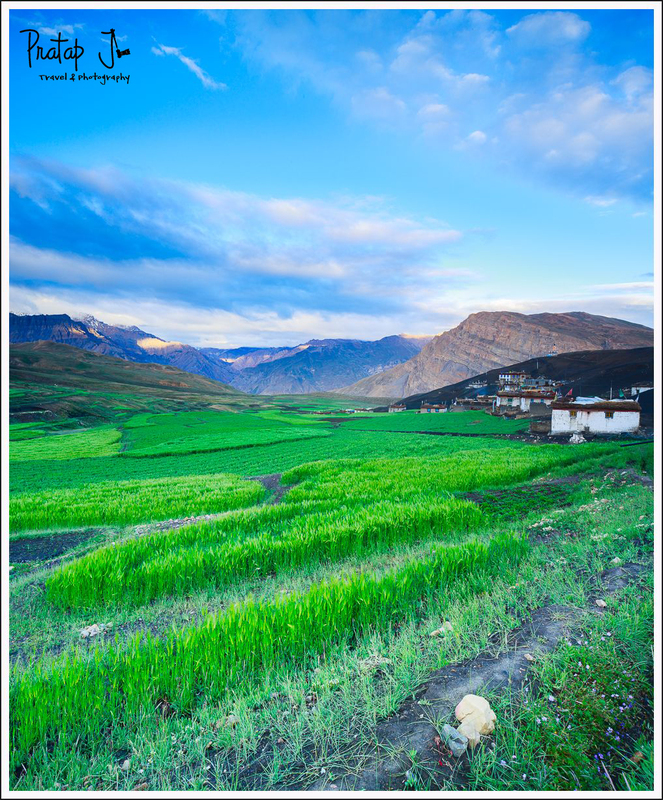 After all, this was our last opportunity to shoot in Spiti Valley. 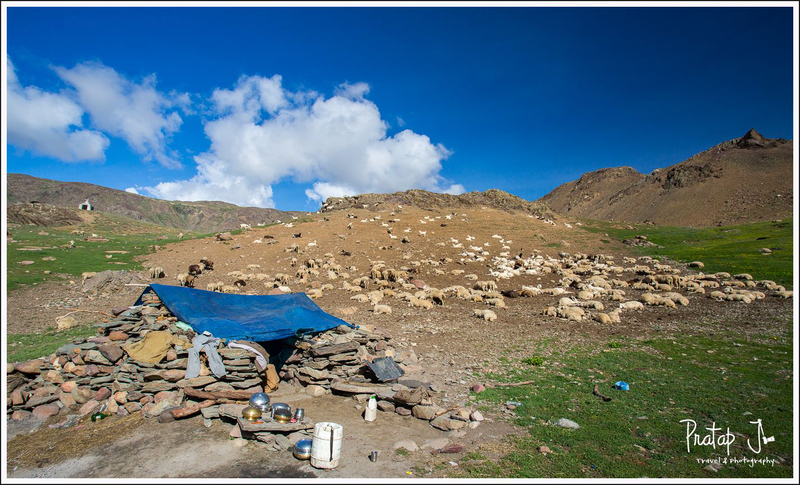 The next morning, we left Chandratal to return to Manali. A few members made a quick trip to the lakeside before our departure. 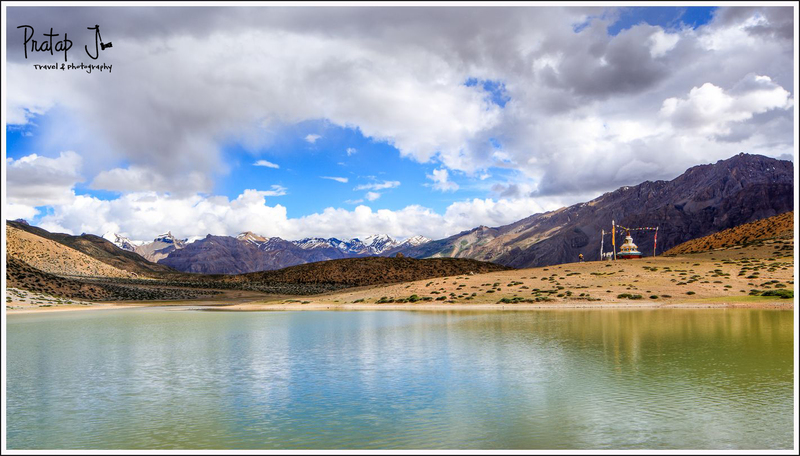 They managed to capture Chandratal with very serene waters, perfectly mirroring the surrounding mountains. Missed opportunities like this give you a reason to visit again :). Breakfast was hot and tasty as usual, and the morning sun warmed us sufficiently. The sunlight can be quite harsh during the day. I made a short visit to a shepherd’s tent nearby. 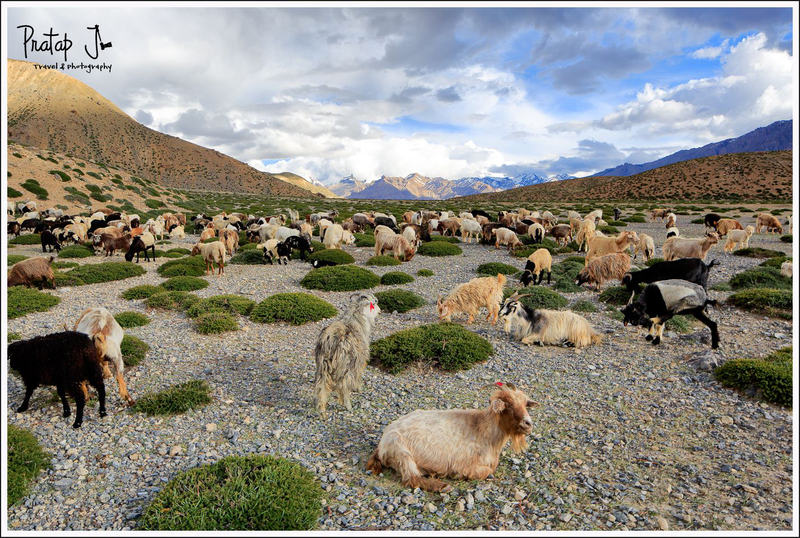 The shepherd was having an animated conversation with a visitor, while his sheep were resting on the mountain slope. On our drive back, we stopped at Batal for a quick refreshment. Lunch was at Chatru, and we were in Manali by 4 pm. The journey was uneventful. I didn’t pay much attention to the landscape this time, because my mind was saturated with the beauty of the upper Himalayas. 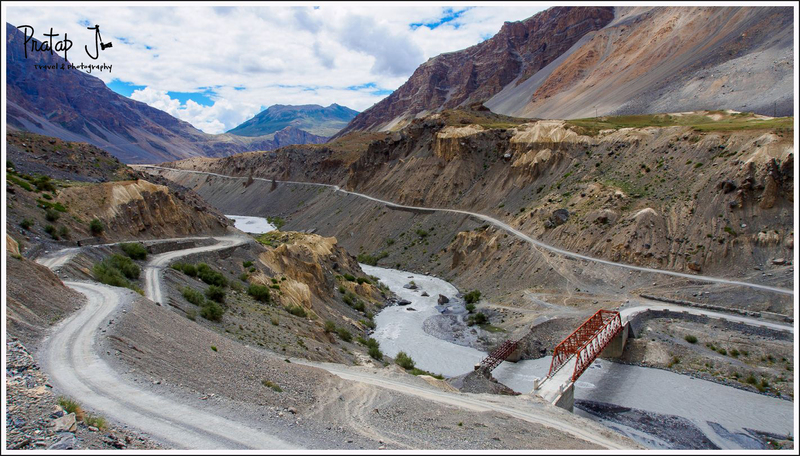 My visit to Spiti was satisfying and enjoyable. Many thanks to Darter photography for making this happen. Thanks to all my fellow travelers who proved to be great company! Many thanks, Manish. You rock! AWESOME! 🙂 Love love love your images and your story. Tweeting and sharing. You are just a fab photographer. Hope we can make a trip soon someday. So much to learn from you. Thanks for sharing this. Thanks for the kind words, Arpita! amazing clicks there. Getting an urge to pack the bags & head up there immedeately. If you do that, my mission is accomplished 🙂 Thanks for your encouragement. Loved it ! Can’t get enough. feel like going there myself !! 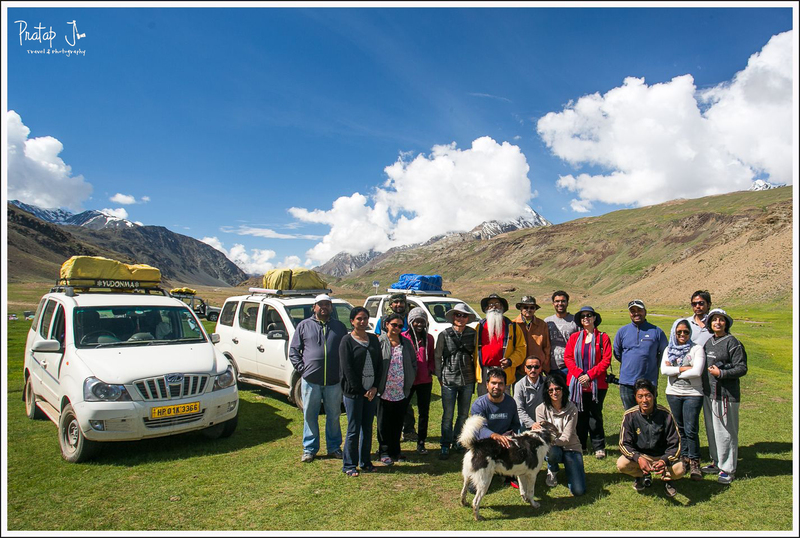 Thank you for taking time to go through the travelogue, Manju! Glad to have been of help. vivid thru your lens. Keep it up. Waiting to see other parts of the world too. This is one of your masterpieces !! just wanna know about the lens which you use when you tour.? Thanks Anand. Most photos were shot with one of these Canon lenses – 17-40L, 24mm TSE or 70-200 f/2.8L IS II. Great blog.So much useful information. May I ask how you arranged the homestays? Did you plan this trip through an agency? Thank you! Everything was arranged by Darter (www.darter.in). Wonderful photos. Very nice description of your journey. 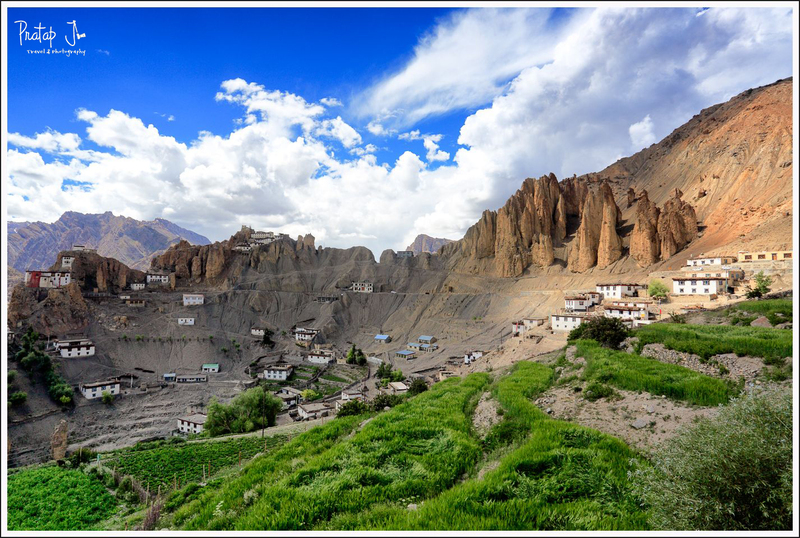 Hope to visit Spiti Valley some time. Thank you.! Tucked this away for future reference. Great photographs! 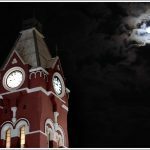 Beautiful pics, can you give some tips for shooting star trails and night pictures. Hi.. is this all by road or you have to track as well ?